Control panels are available in a number of configurationsto meet the requirements of the applications. 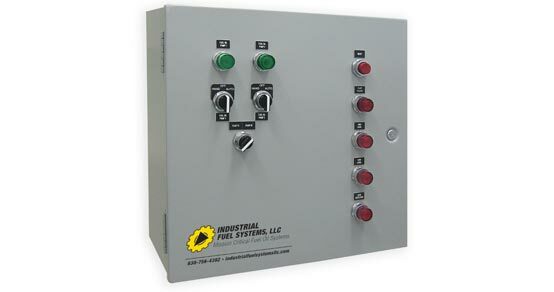 Shown here is a simple control panel that makes use of relay logic to control a pair of pumps. 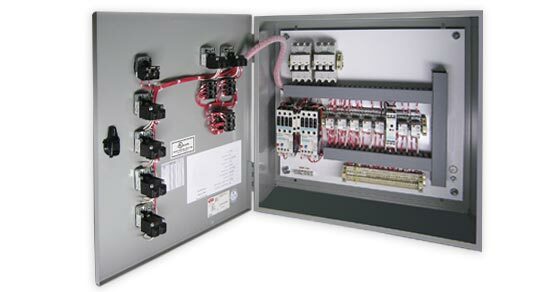 Control panels are manufactured to UL508 requirements. Typical front panel with alarm lights, “Hand-off-auto” switches for two pumps and a lead pump selector switch. Inside view of the control panel showing the circuit breakers, moton starters, and relays along with field terminations.